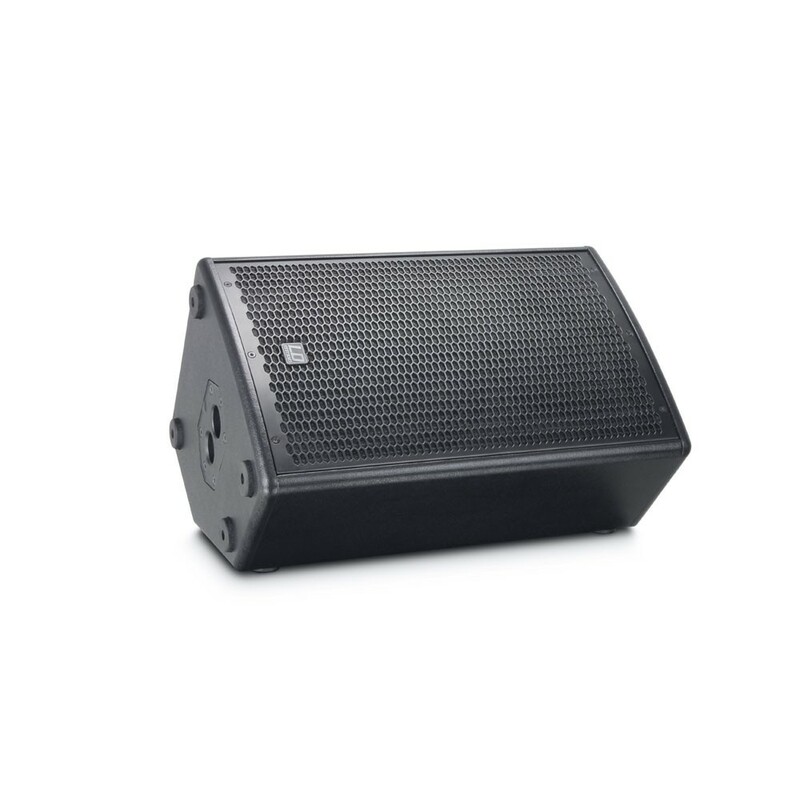 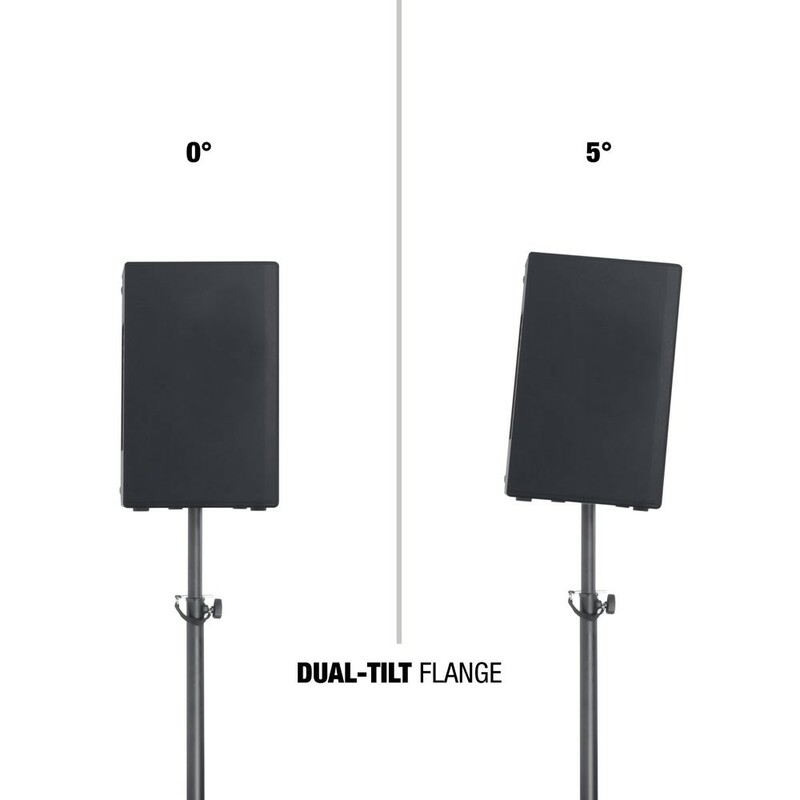 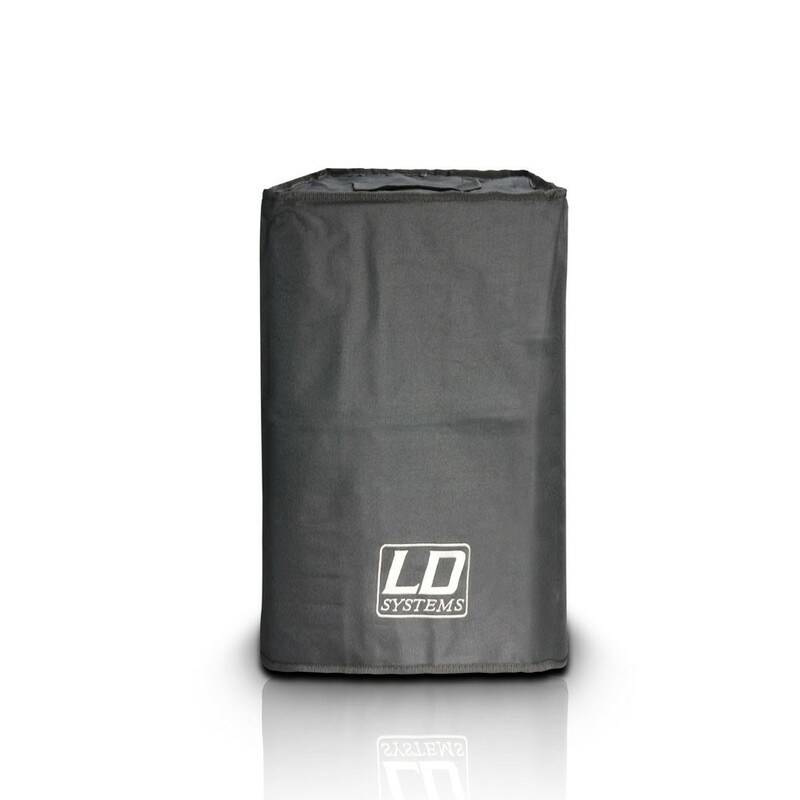 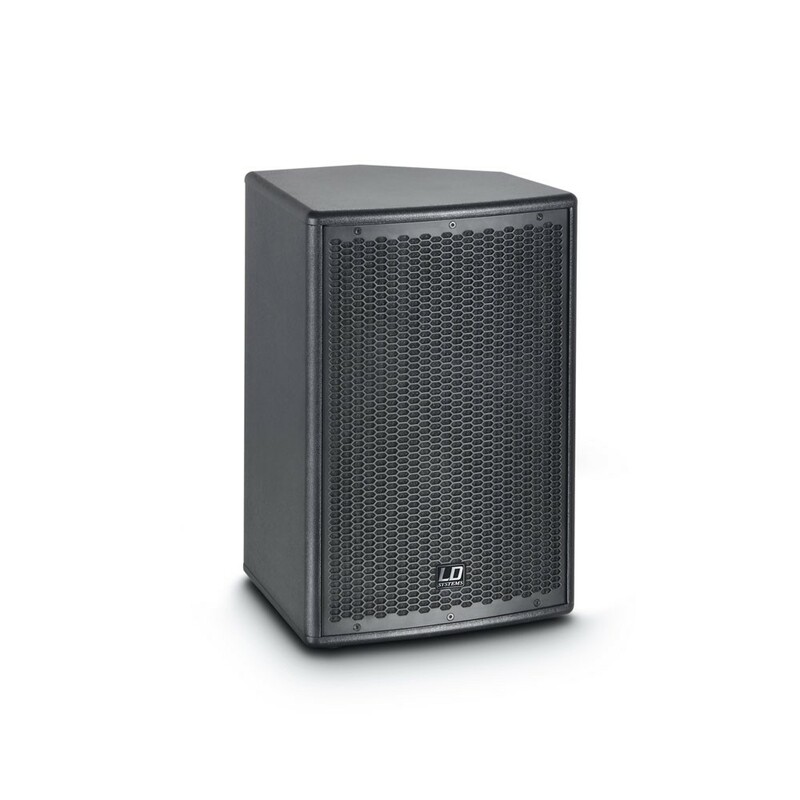 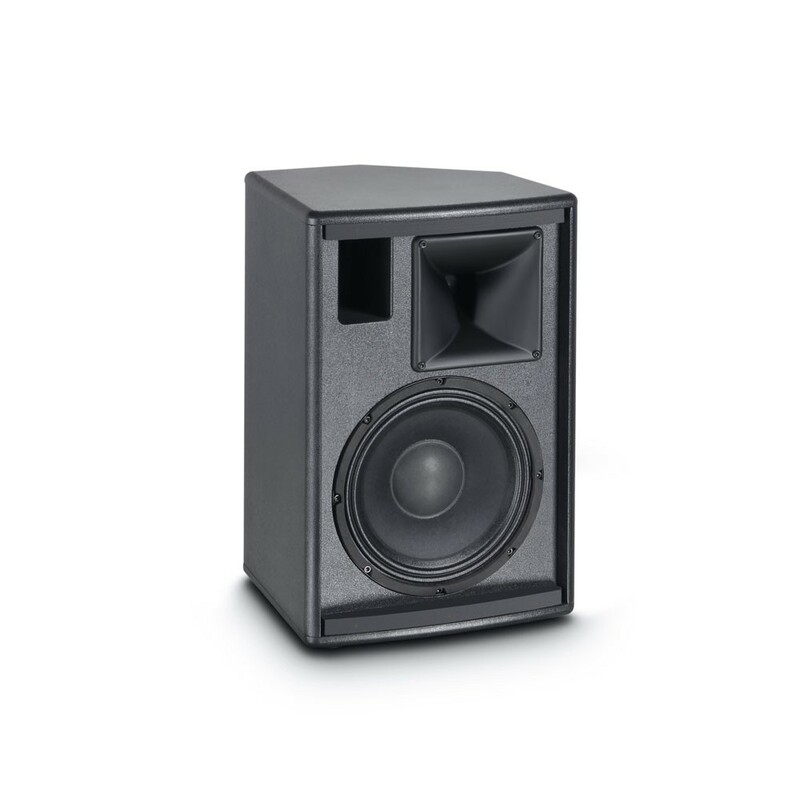 Loaded with a custom 10" woofer and 1" Celestion compression driver the GT 10 A active fullrange loudspeaker provides exceptional value and crisp, well balanced audio with a 65 Hz – 19 kHz frequency response, 90° x 60° dispersion and 119dB peak SPL. 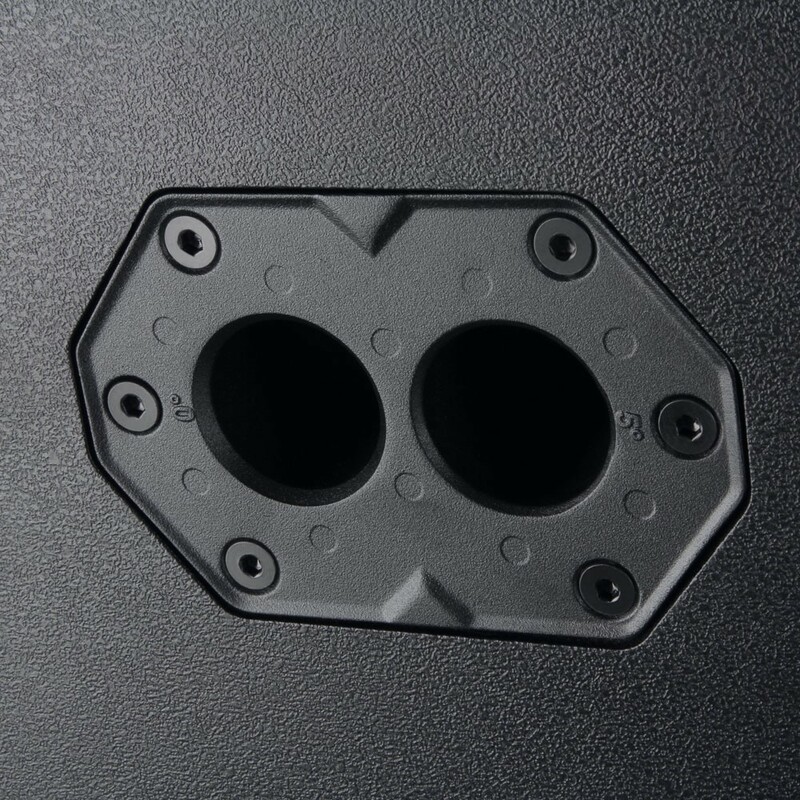 The sturdy bass reflex cabinet is made from 15mm MDF and covered in heavy-duty textured Dura-Vinyl for protection and lasting appearance. 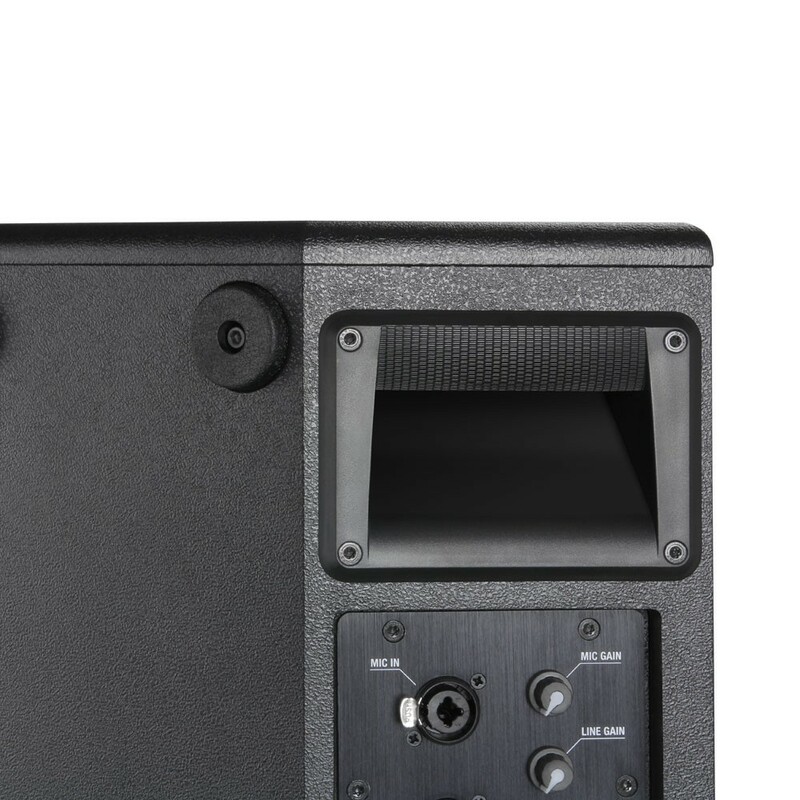 It features a honeycomb steel grille, 54° monitor angle and dual tilt stand mount. 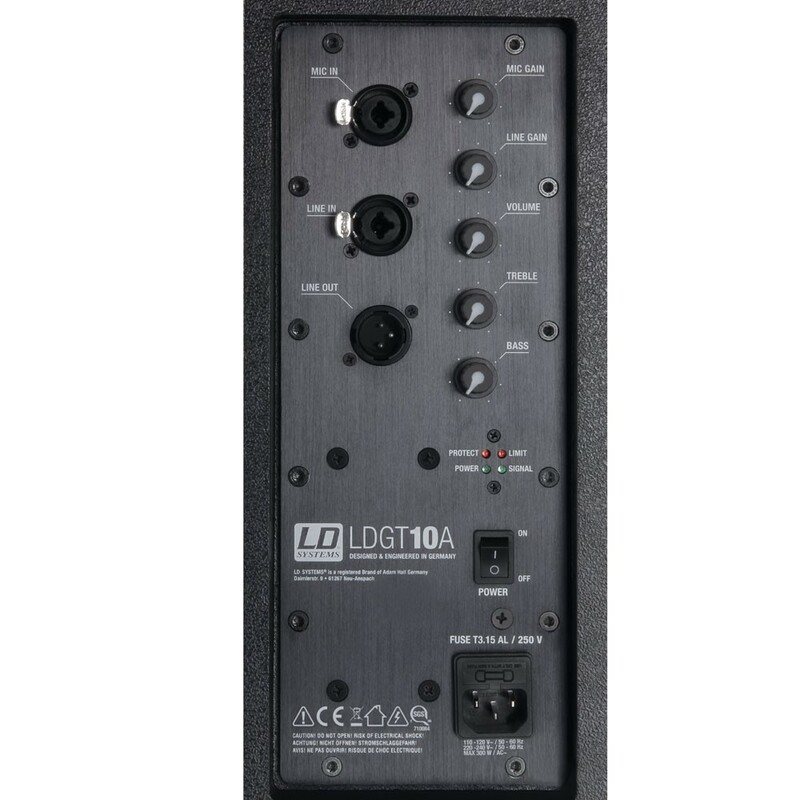 The GT 10 A is powered by a built-in Class D digital amplifier with high efficiency SMPS and 800 watts peak output. 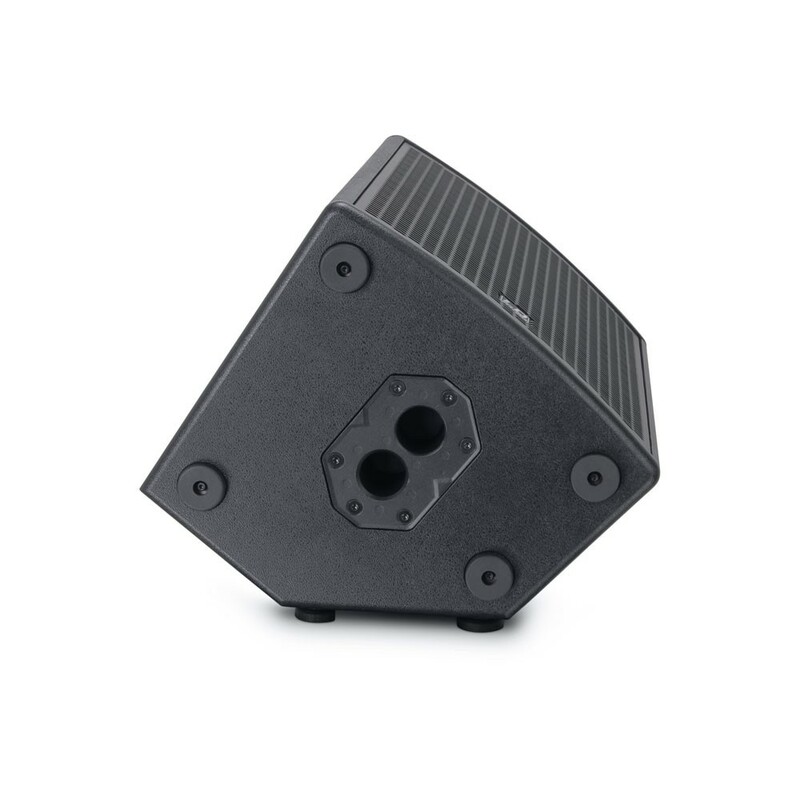 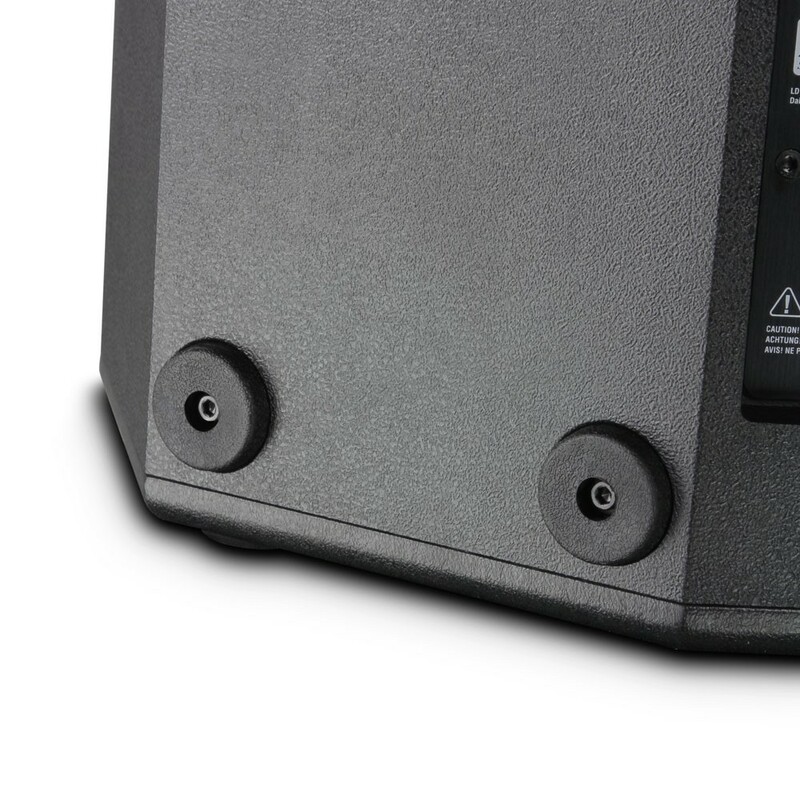 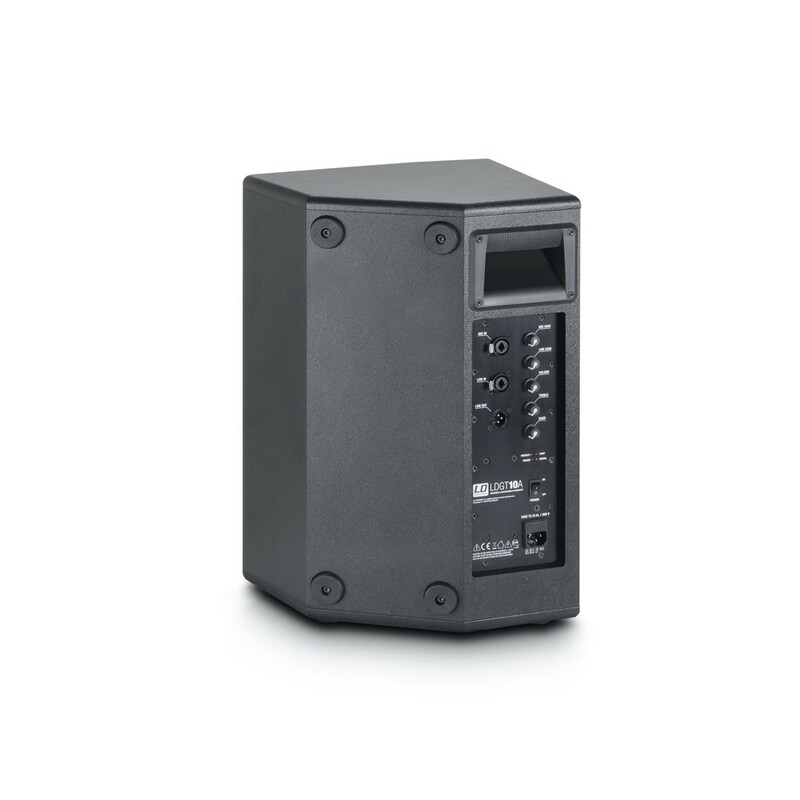 It provides line and microphone inputs on XLR and 6.3 mm connectors, a 2-band EQ and is protected against overcurrent and overvoltage for reliable operation.